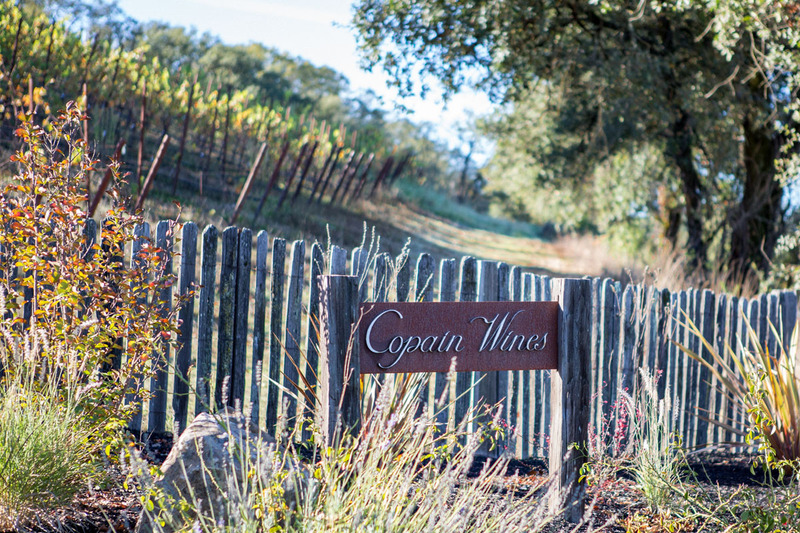 Taste Rhône style wines in Sonoma County at Copain Wines. And now for something slightly different: Copain, a Sonoma County winery of almost 20 years standing that’s just recently come home. Copain Wines was founded in 1999 with a mission to make less-than-mainstream Rhône-style wines from less-popular regions, eschewing Sonoma County grapes for those of our neighbors to the north. 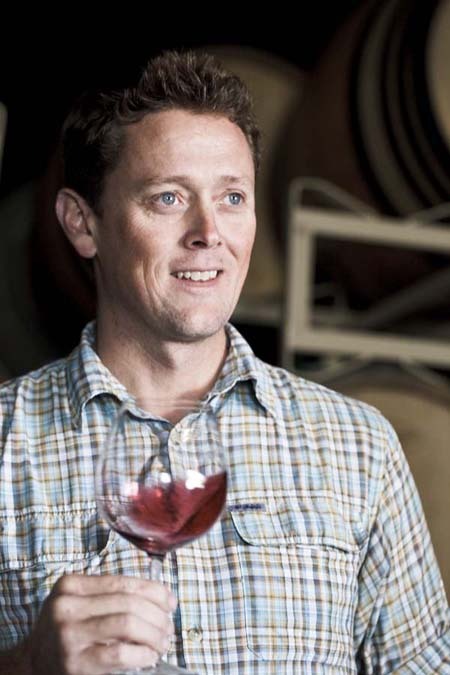 Yet winemaker Wells Guthrie was so successful in his mission — whether by dint of timing, luck, savvy winemaking, or all three —that he sold the brand and is now a member of the county’s largest wine “family,” Jackson Family Wines. Not content with a highly desirable foot in the door as a wine tasting coordinator for Wine Spectator’s offices in San Francisco, Guthrie struck out for the Rhône Valley in 1996, landing a job as a vineyard worker for the producer, Chapoutier. For two years, paid basic vineyard worker wagers, he hiked the steep slopes of the Rhône Valley vineyards, many of which have to be hand-farmed and backpack-sprayed. After a few stints back in California, he precociously (but wisely, with investors) started his own brand, Copain, focused on low-alcohol, cool-climate northern Rhône varietals like Syrah. In 2016 Copain sold to Jackson Family Estates, makers of the popular Kendall-Jackson wines and also collectors of small wineries that they generally allow to do their own thing, albeit with added resources. Today, Pinot Noir and Chardonnay edge Syrah and Roussanne out of the spotlight, but you’ll find the winery’s original style and sensibility intact at the tasting room, situated on a hill above the Russian River south of Healdsburg. 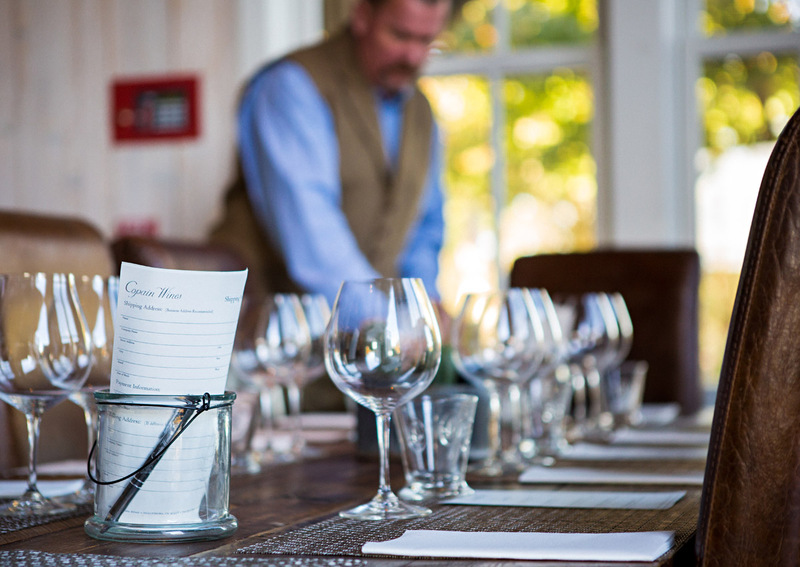 Once open to walk-in tasting, Copain is now an appointment-only tasting room where visitors can spend a bit of extra time to focus on the wines in the relaxed setting of the barn-styled tasting room. Before visiting, first get a taste of the Copain style with their Sonoma County wines, which are more widely distributed but not available at the tasting room. While this wine greets the nose with a suggestion of caramel and oak overtones that you might expect from a California Chardonnay, smell closer: like the single vineyard Chardonnays, this stops well short of overtly oaky or butterscotch aromas—although fully malolactic, this wine has the acidity and lower potential alcohol (this is 13%) to ensure a saline freshness, coupled with lemon-pear tanginess, to the lingering finish. A smart Chard for summer parties — crisp, without the simplistic apple-tini taint of merely “non-malo” Chardonnays. It’s hard to assess this young Sonoma County Pinot Noir because it seems to change by the minute, but one thing is for sure, it’s an inviting and successful Sonoma Pinot. The aromas, at first opening, present as a sort of sweet cranberry, but an hour or so later, move into a liqueur-like sweet raspberry direction. You won’t find over-extraction in a Copain wine, however — this wine rides the vanilla-raspberry, and slightly herbal, note right on the line to a quite dry finish. A palate-stimulating wine for a variety of food pairings. 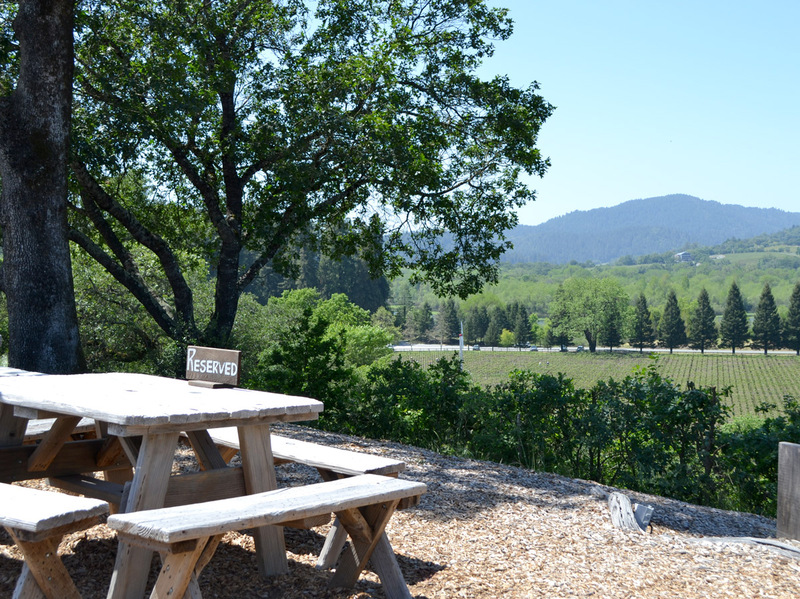 Copain’s property isn’t planted much to vineyards at this time, but the view from the patio and picnic tables is toward the Russian River and specifically, below, the Riverfront Regional Park. Stash a bottle of Tous Ensemble North Coast Rosé and head for the water for an ideal Sonoma County picnic, no? 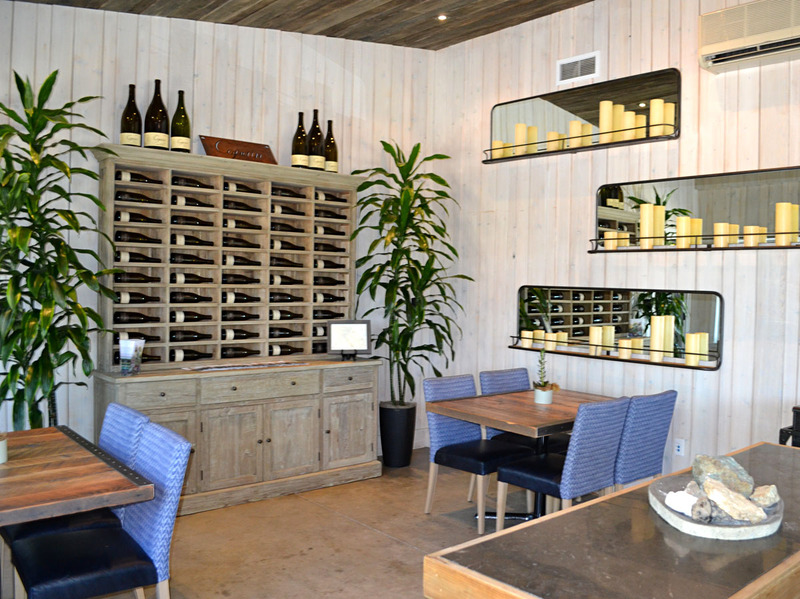 Copain Wines, 7800 Eastside Road, Healdsburg, 707-836-8822. Open daily by appointment, 10:30 a.m.–3:30 p.m.